San Francisco: US-based Hyperloop Transportation Technologies (HyperloopTT) is set to build the first Hyperloop system in China as the company struck a deal in the country to build a test track in Guizhou province.The agreement was signed with China's Tongren Transportation and Tourism Investment group for an initial 10-km track, HyperloopTT said in a statement on Wednesday. Under the agreement, HyperloopTT will be responsible for providing technology, engineering expertise, and essential equipment for the system designed to bring airplane speeds to ground level.Tongren will be responsible for certification, regulatory framework, and construction of the system. Financing will be done through a public-private partnership with 50 per cent of the funds coming directly from Tongren, the statement added. "We envision that Hyperloop will play into a bigger role of the Silk Road Economic Belt, connecting the region to the rest of the world," said Dirk Ahlborn, CEO of HyperloopTT. "The unique topography of Tongren will allow us to refine our various construction methods with our partners," Ahlborn added.This marks the twelfth agreement for HyperloopTT and the third commercial agreement for the company this year following announcements in Abu Dhabi and Ukraine. 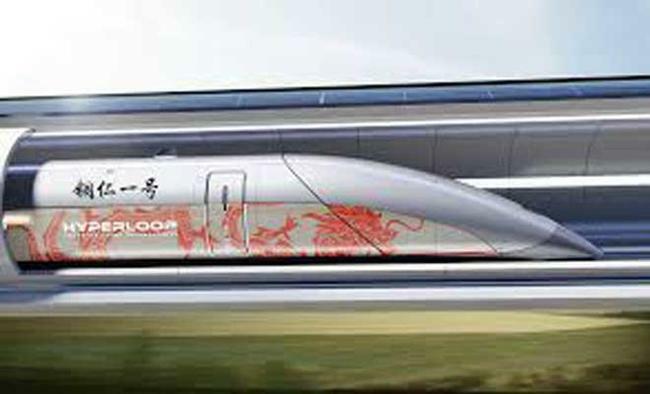 "After the completion of the project, it will greatly accelerate the research and development of China's Hyperloop system and rapidly enhance the development of high-tech industry and equipment manufacturing industry in Guizhou province," said Chen Shaorong, Mayor of Tongren. HyperloopTT in May this year proposed to set up the Hyperloop transportation system in India's Andhra Pradesh state, connecting Anantapur-Amaravati-Vijayawada and Visakhapatnam as part of 700-800-km-long integrated public transit system.The Maharashtra government earlier signed a pact with the Richard Branson-led Virgin Group to build the Mumbai-Pune Hyperloop.